Most carpet cleaning services will charge you extra to clean your Berber carpets with a special method. On top of that, they take more time to do the job and can leave your carpets soaked for hours afterwards. With KIWI cleaning services, all that changed. From the beginning, we’ve used a carpet cleaning method that’s fast, effective and affordable. You won’t have to spend any extra money to get your Berber carpets looking fresh because we’re able to use our all-natural cleaning method on any type of carpet. Rather than steam clean Berber carpet, our dry carpet cleaning method cleans up spills, pet stains and high-traffic areas without leaving your carpets soaked. In addition to getting your Berber carpets clean, we can also make repairs. Berber is unique in that it adds true value and elegance to your home, so it’s important to get your repairs done right. Our experienced professionals can restore all types of Berber carpeting. We’ll maintain your Berber’s complex structure and weave and ensure that it looks like new when we’re finished. Whether you have common Berber carpet stains such as food or pet stains, or more severe spills or damage from wine or dyes, you need to choose a professional that can restore the look and feel of your carpet with cleaners and products that align with industry standards. Our team has 30 years of industry experience and can analyze the unique fibers and stains of your carpet in order to customize your services depending on your needs. KIWI uses bonnets and an all-natural cleaner to gently clean your Berber carpet to perfection while following industry guidelines. Although some carpets require special deep cleaning services and take up to 45 minutes to dry, lightly soiled Berber carpets can be dry in as little as 15 minutes with our Berber carpet cleaning method. The professionals at KIWI Services take care of everything. You will no longer have to deal with the hassle of moving furniture and avoiding soggy carpets, KIWI takes care of the details. Avoid the wet mess and mildew of steam cleaning and call the professionals at KIWI. We will move the furniture, vacuum, use spot treatments, then clean. Not only do we clean your rugs to perfection, we also provide a KIWI Lover One-Year Carpet Cleaning Warranty and a KIWI 100% Clean Guarantee. For deeper stains and odors, KIWI provides special spot cleaning services that focus cleaning efforts on an individual area in order to restore the uniform look and feel of a floor. Stains and odors originating from family pets can be difficult to remove using standard products. When it comes to Berber carpet pet stain removal, KIWI has developed unique ways of removing odors and stains by thorough cleaning processes and antimicrobial injections to kill odor in the padding and base of the carpeting. We start by cleaning and treating the carpet surface and follow that with antimicrobial injections into the deeper layers of the carpet and padding. After each stage, we evaluate the results and proceed accordingly. If pet stains and odors are still present, we will lift the carpet and padding and wash the underlying floor with germicidal wash and antimicrobial treatment while treating the other layers. The professionals at KIWI are determined to fix any stain, odor or damage. We understand the importance of family pets and the happiness they bring to a home, but we also know the messes they can make and we dedicate our services to restoring a beautiful floor for the whole family. Stains and odors aren’t the only problems that befall beautiful Berber carpets. Humans and pets alike can create damage and permanent stains that require professionals. 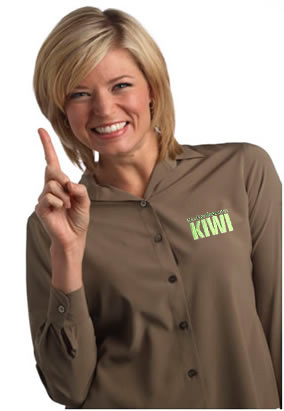 Call KIWI Services today to schedule a Berber carpet cleaning with one of our friendly customer service representatives!